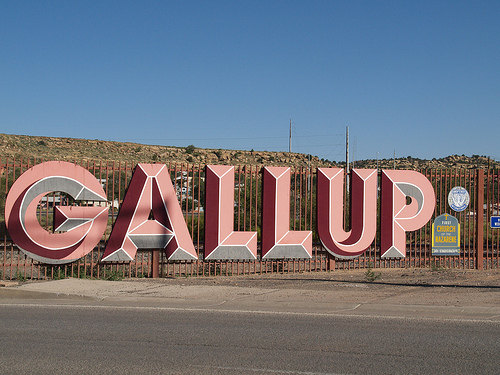 Gallup is located in the heart of Indian Country and is another town that got its start through the railroad in 1881. A fascinating place founded in 1881 when the Santa Fe Railroad first rumbled through, and calling itself “The Gateway to Indian Country” because it’s the largest town near the huge Navajo. The greatest concentration of interesting turn-of-the-century architecture, as well as most of the downtown trading posts and galleries are located here, especially along Route 66 and Coal Avenue, one block south. There are 110 trading posts, shops and galleries in Gallup, making the town the undisputed Southwestern center for original Native American art.